Happy Golf Lessons have the answer you are looking for! Playing the game of golf has always been done due to various reasons are best known to the players. Some choose to play the game for the passion, some play for business or for profit, while others play for leisure or as some folks would term it, recreation. In other words, the reasons for playing the game differ from player to player. Here at Golf Lessons Malaysia, the focus attention would be to help you improve your skill while maintaining your special style at the same time. In recent times, research has shown that a lot of golfers learn the fundamentals of the game the wrong way, meaning that a lot of lessons are learned without the proper guidance and instruction of a professional instructor. Due to this initial mistake, so many of them find it hard adapting to the professional scene. For this reason, it is always advisable that when you show genuine interest and passion for the game, the next phase would be to get professional instruction from an actual golf professional, so that you would avoid taking backward steps in your learning phase. One thing you have to prepare for is the fact that learning golf professionally can be really tasking and there is a lot that goes into it, such as mental preparation, physical preparation and so on. It may seem like a difficult task, but if there are focus and passion attached to the learning, then you should be into the game in no time. Another fact you should probably take note of is that, relearning the fundamentals after a bad start can also be difficult, yet very possible, so once again, adequate preparation is necessary and essential. It is important that you understand that if you want to be skilled at the game, involving in serious training repeatedly is not enough, but actually understanding the rudiments and putting adequate effort to apply those rudiments in your training; that is the key. Golf should also not be perceived as a game for the rich and wealthy alone, it is a sport and therefore should be perceived as one just like any other sport. So if you are interested in the game golf, ensure you go into it with the right perception. 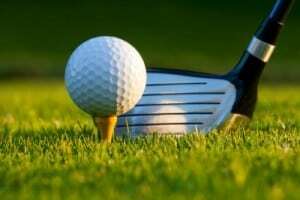 Golf lessons Malaysia – your game or tournament start from here! I am totally a newbie in golf, so I attended HappyGolfLesson’s beginner level (small group private lesson, only 2 of us), instructor Simon is very attentive and very patient. He explained about golf etiquette, rules, and basic technique. Now I really enjoy playing golf with my friends and colleague during the weekend. I send my 6-year-old son to pick up the lesson at Bangi Golf Resort from coach Michael every Saturday and Sunday. This is a small group lesson, age between 6 – 10 years old. All kids are having fun. My son now becomes more independent, and keep talking about his golf journey to me and my wife.